This article illustrates the different methods to locate Episerver CMS Platform version information. The image below shows the following options to find the version number. 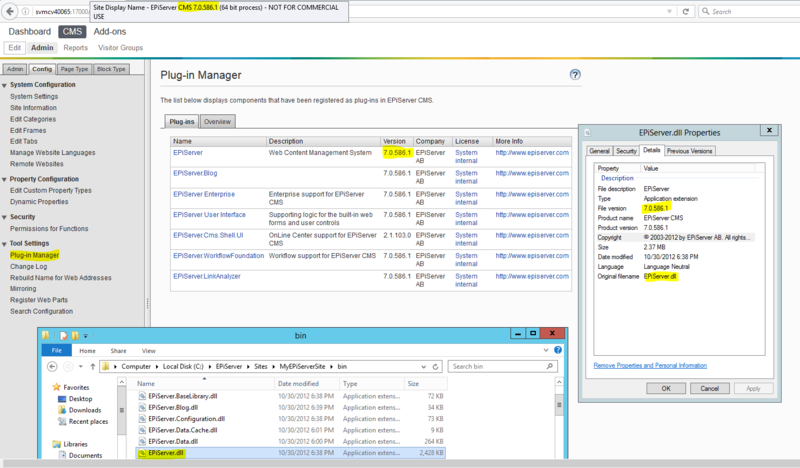 In Admin mode, click the Config tab > Plug-in Manager. View the title of the editor/admin mode browser window. Alternatively, view the version number of the EPiServer.dll file in the bin folder. This link shows corresponding version numbers and their release "Name".